Updates to Lise C.'s profile since your last visit are highlighted in yellow. Establishing a trusting relationship with a REALTOR requires a minimum knowledge of this person, at least some professional parameters and credentials, aside from your personal feelings. Allow me to tell you more about myself, particularly what I suspect might be of interest to you. I am specializing exclusively in residential representation for Broward and Palm Beach counties. I am a member of the Florida Association of Realtors (FAR), member of the National Association of Realtors (NAR) as well as member of the Greater Fort Lauderdale Board of Realtors. After a successful 25 year career as a highly regarded executive in the New York City fashion industry, working for such luminaries as Ralph Lauren and Donna Karan, I am shining my own light on the South Florida Real Estate Profession. I am highly adept at understanding and formulating my client’s intangible desires into very tangible results. I continue to maintain my creative sphere through my association with the Design Center of the Americas (DCOTA) in Dania Beach, Florida. Whether the sale of your home will keep you in town or a continent away, I have the vast resources necessary to market your current property and locate the next! Lise C. Foldessy has a birthday today. Lise C. Foldessy updated her profile. View. Lise C. Foldessy added a photo to her profile gallery. Lise C. Foldessy posted a message. Wishing everyone a great time connecting with old friends and making some new ones too! 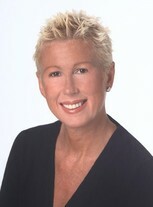 Lise C. Foldessy changed her "Now" picture. 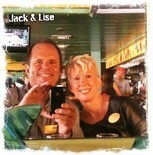 Lise C. Foldessy changed her profile picture. Lise C. Foldessy added a photo to her profile gallery. New comment added.